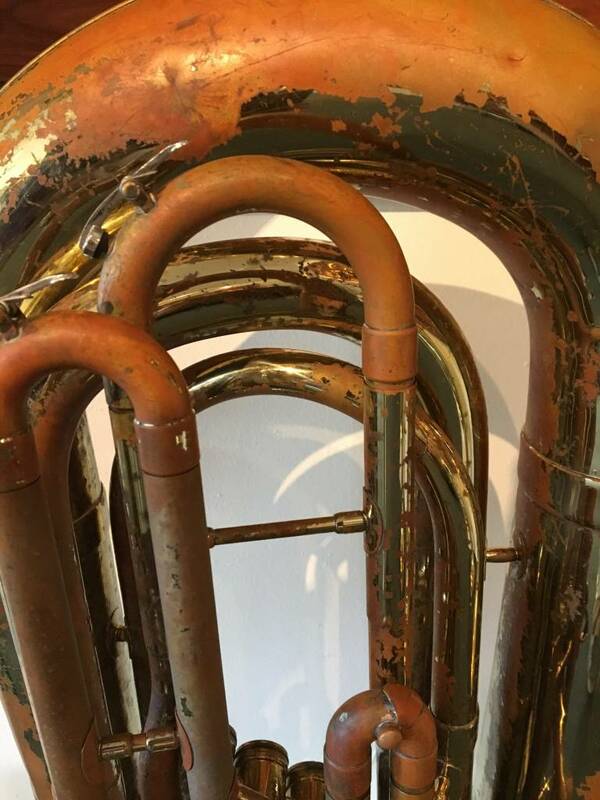 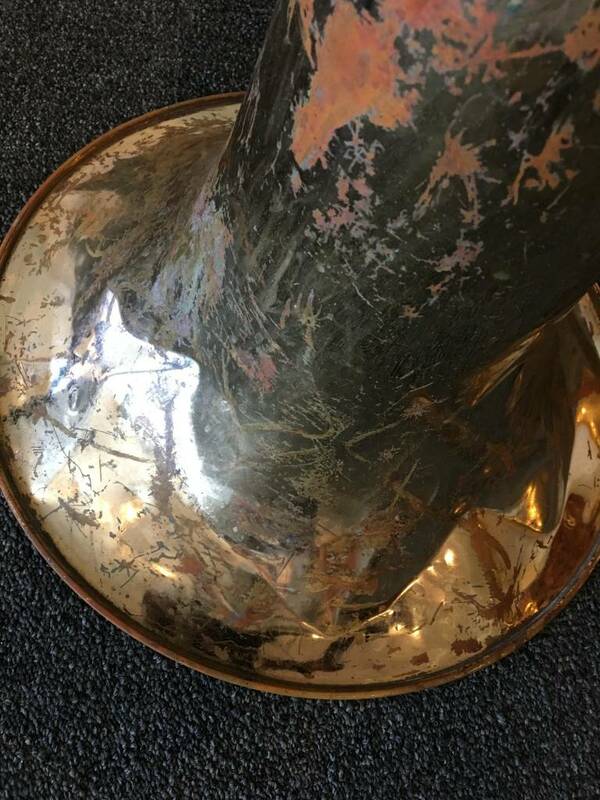 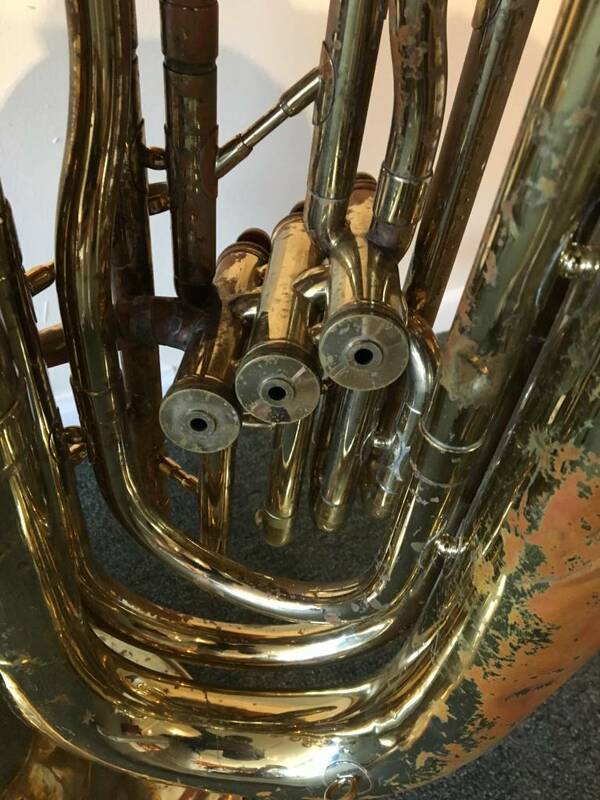 Bach tuba that has been used for many years. 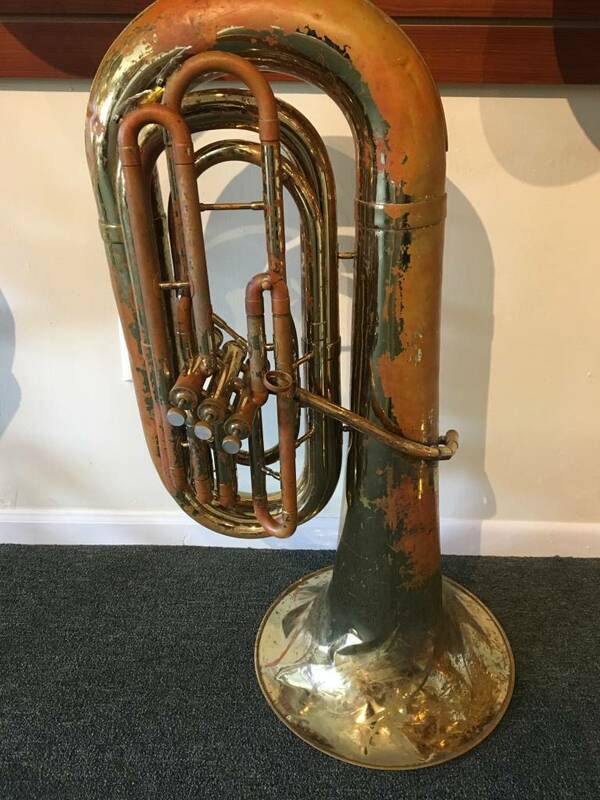 Even though it looks rough, still plays and moves! 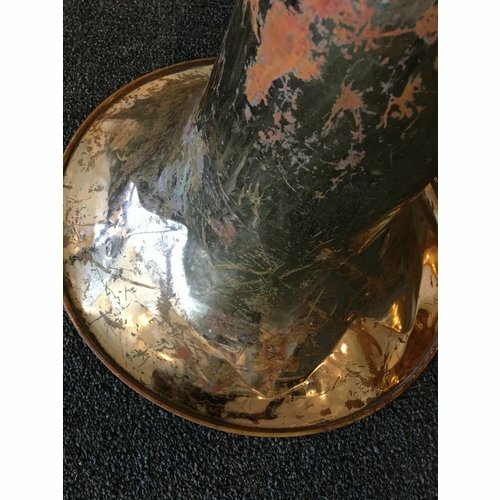 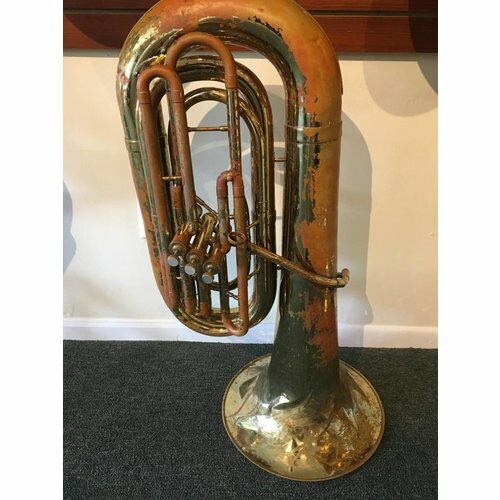 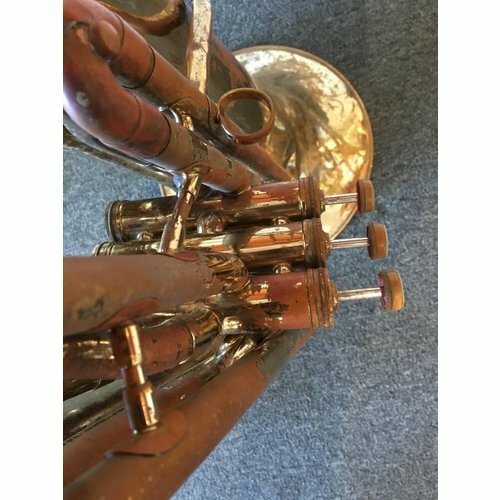 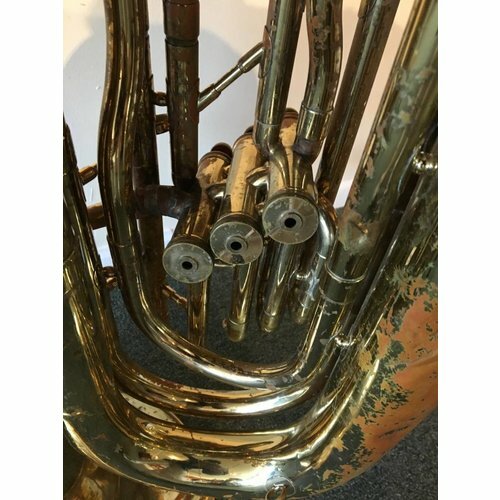 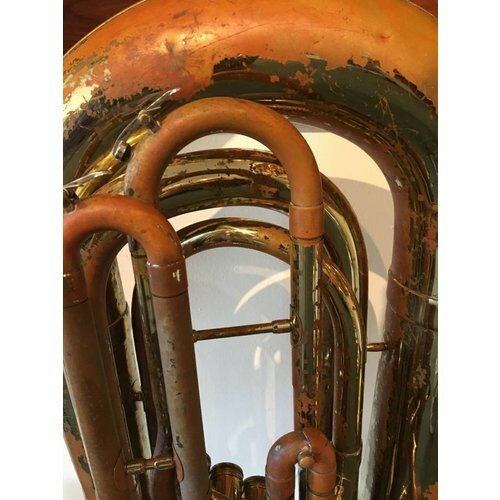 Great option for those looking for an inexpensive tuba to play. 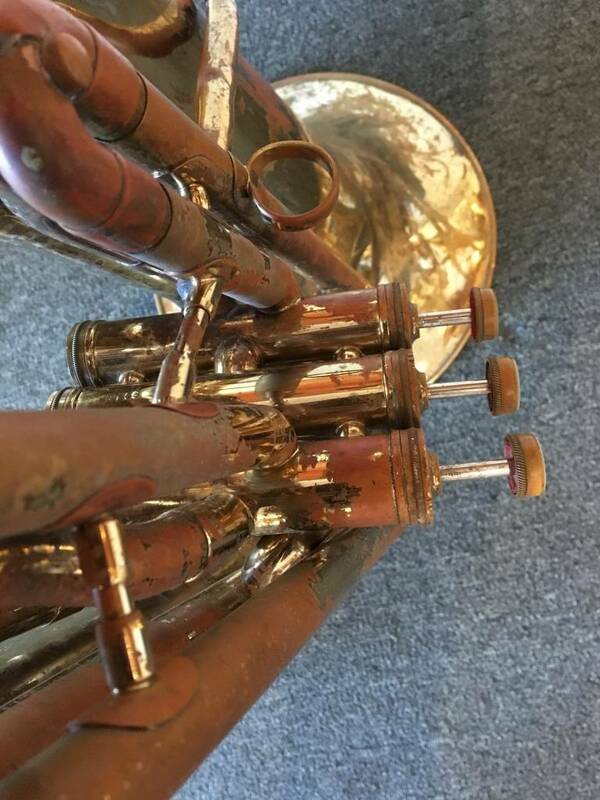 Needs cleaning and third valve stem re-threaded.